The Summer Camp Online Auction begins on Monday, November 12 and continues through Sunday, November 18! Unlike previous Fall Auctions, this one will be dedicated to donations from popular day, sleep away and speciality camps. Summer camps are actively enrolling campers for next year and you won't want to miss out! Visit the Auction page to preview participating camps and to register to the GiveSmart auction site. The action starts Monday, November 12 at 9 am. Get ready to bid! 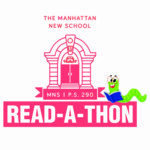 MNS will be kicking it old school with a traditional Read-A-Thon! This Thanksgiving, let share the love of reading, while earning $$ for MNS. Visit the Read-A-Thon page for more information. Want to get a jump start? Feel free to stock up on books from your local library, bookstore, or Amazon. If using Amazon, remember to always use this link in order to earn our school 5-10% back on all purchases. Lunch Club Registration packets were backpacked home and are due Tuesday, November 13. 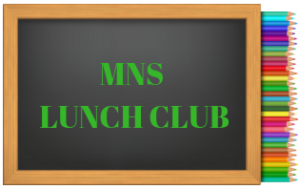 Visit the Lunch Club page to view Lunch Club offerings, learn more about the program and download a lottery form.